Yes, our crackers are certified gluten-free by The Gluten Intolerance Group of America. Our crackers do not contain any wheat or gluten. They are processed in a certified gluten-free facility. Onesto crackers are NOT nut-free, they contain almond flour. Onesto cookies are nut-free, but they are baked in a facility that also processes peanuts, tree nuts, dairy, soy and eggs. We ship our cookies and crackers to you via USPS Priority Mail or UPS ground. You should get your order within a couple of days. If you would like your order to ship the same day that you order, please send us your order by 11am (EST), otherwise the order will ship the following day. What are the packages like? We are very proud of our eco-friendly packaging! Our boxes are made from recycled paper that is FSC Certified. It is 100% recyclable and is printed using 100% vegetable dyes. Our boxes are also produced using 100% wind powered energy! The crackers have a shelf life of about 9-12 months. We recommend that you re-seal the inner package completely after you enjoy them so they can stay fresh as long as possible. 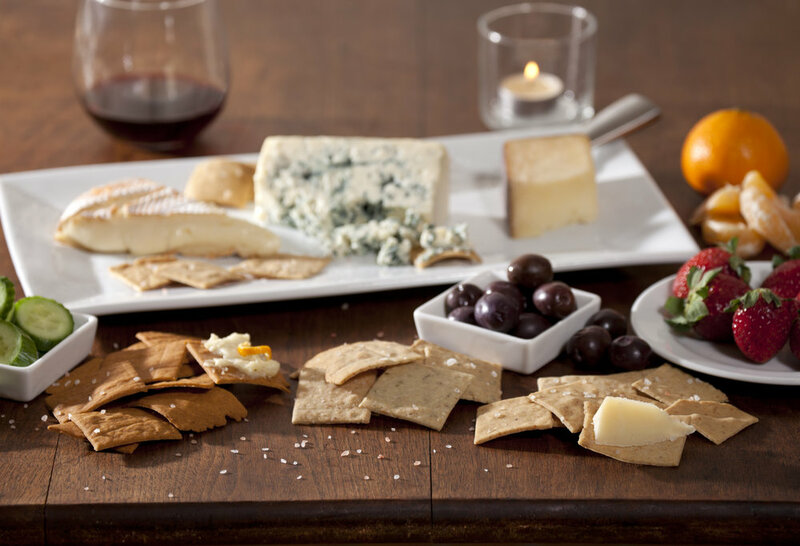 Once opened, we recommend finishing the crackers in a couple of weeks for optimal freshness. You can freeze the cookies to retain their freshness for up to 6 more months. Just let come to room temperature or warm in a microwave and enjoy! Are Onesto products available in stores? I have a store/restaurant, can I order wholesale? Absolutely! Please contact us directly and we can help you find a distributor in your area.